I'm an optimist. And a worrier. Which means I'm always positive that something is going to go wrong. I'm trying to change. Honest, I am. Because there is no point to worrying. It's a killer. Even our mixed-up culture is trying to drive that point home with all those "Keep Calm" signs. 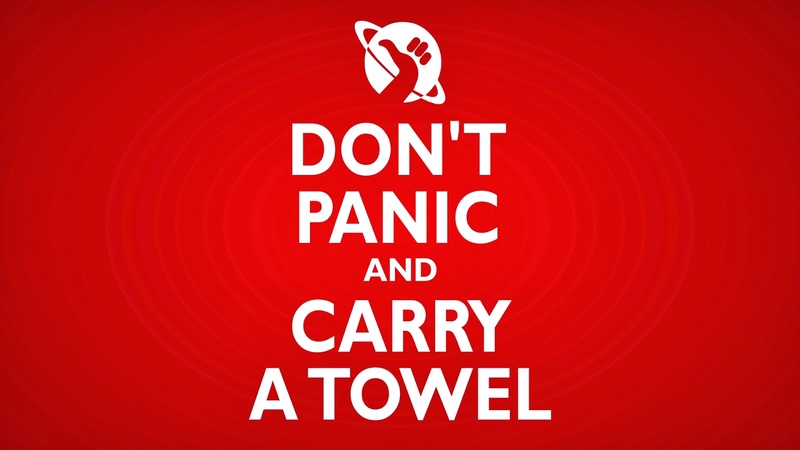 My favorite one ties in Douglas Adams' motto "Don't Panic" from Hitchhiker's Guide to the Galaxy. In the movie, one sure way to keep from panicking is to always remember your towel. Because everyone knows towels do come in handy.